Dr.Lewis is caring and so very experienced and knowledgeable .You feel you are in good hands when you are his patient. I was having stomach pain and leaving town the next day for a month. Dr. Lewis' nurse got me in to see him that day, he arranged for me to have an abdominal scan the same day – actually immediately following the visit. Everything was normal. I got the result when the scan was done and Dr. Lewis called me the next day as well. He's also an excellent listener. 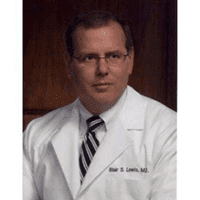 Dr Lewis takes time to speak to you, and listen to your concerns. He's very tech savvy and up to date on all medical issues. Love this doctor! Worth the inconvenience of getting to his office. He's smart, punctual, caring. He should teach doctors how to run their business and treat their patients. Dr. Lewis was wonderful and attentive and answered all my questions. Everything went smoothly and easily, right on time and as expected. 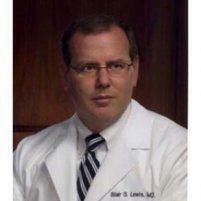 Dr. Lewis is the consummate professional, intelligent, knowledgeable, skilled, caring and compassionate. After a relatively short wait, after completing a thorough medical history, as a new patient I had an interview with Dr. Lewis. He is down-to-earth, personable and his reputation precedes him. Dr. Lewis made me feel right at ease from the moment we met in spite of the uncomfortable circumstance. He answered all of my questions and I did not feel rushed in any way. I trusted his knowledge and experience. His patient portal makes my records and Dr. Lewis easily accessible. Dr. Lewis is always caring and helpful when I meet with him. He also doesn't hesitate to help me with any concerns I have no matter how small. Very pleasant conversation with doctor and a suggestion of procedure much simpler than the one I was expecting to do. Dr. Lewis and his staff are warm and welcoming. My interview with him put me at ease. He is a good listener and is thoughtful and clear. The doctor saw me in time and was professional and courteous. Professional and courteous staff--and Dr. Lewis was a pleasure.